There are two categories of parasites that can affect your pets - endoparasites and ectoparasites. Endoparasites are internal, while ectoparasites live on the host animal's skin. Endoparasites in pets are more commonly known as worms, including tapeworms, roundworms, hookworms and whipworms. Dogs, cats and other animals are frequently afflicted with worms both in their infancy, and subsequently in a variety of ways. Scavenging, hunting and contact with other animals all represent a potential source of infection, and animals may have endoparasites even if the host animal shows no noticeable signs of illness. Some worms may pose a risk to humans and children. It is almost inevitable that some animals, particularly dogs, will come into contact with endoparasites at some stage of their lives, but the problem can be easily managed. Endoparasites in your pet can be prevented and controlled by following a regular worming regime. Most pets should be wormed at least once every three months, however younger animals and those at a higher risk require more frequent worming. 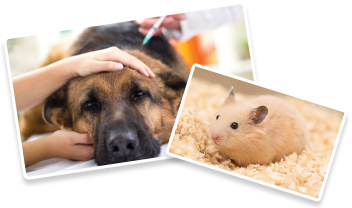 We advise that your pet is wormed on a monthly basis until 6 months old. Ectoparasites often found on pets include fleas, ticks and mites. These parasites can be transmitted between animals or picked up in the wild and may cause allergic reactions in some animals. Fleas are trasmitted between animals and their enviroment, causing itching, irritation and potentially skin disease. Fleas can lay vast amounts of eggs, multiply greatly and increase the risk of further transmission. Ticks are parasites often found in long grass and wooded areas - they attatch themselves to host animals and feed of their blood. Ear mites are transmitted between animals and are often found in young pupplies. They live just outside the ear canal and can cause irritation and excessive wax production. Regular ectoparasite treatment can prevent infestations from developing in your pet and protect them from other illnesses that can come with the parasites. Lungworm infection in dogs is becoming more prevalent in London and the UK and can be fatal. Please ensure you treat your dog monthly with lungworm prevention. Some products are designed to prevent against both endoparasites and ectoparasites. 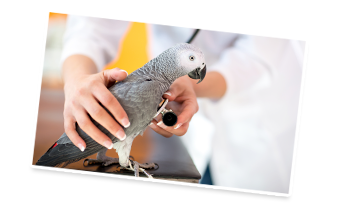 Our most effective treatments are Prescription Only Medicines, and as such we need to see your pet in the clinic every 6-12 months. Contact us today for advice about the most appropriate treatment for your pet.